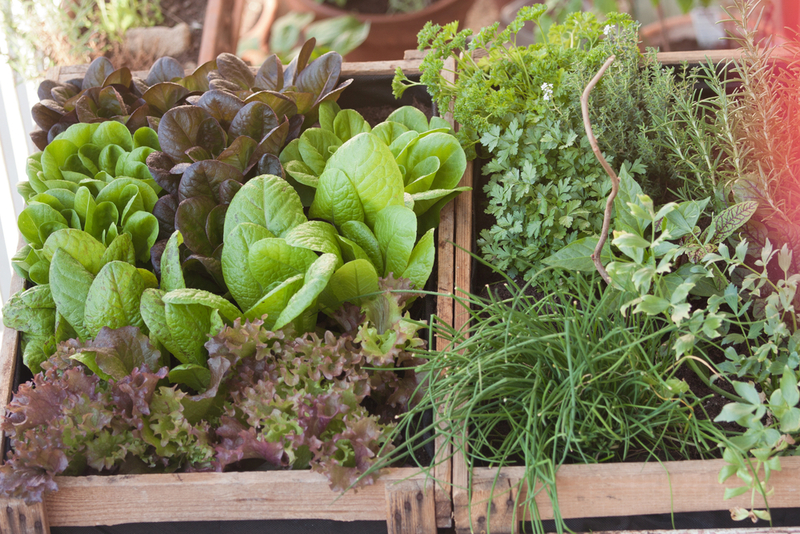 Building and maintaining a raised box herb garden is easy and beneficial. 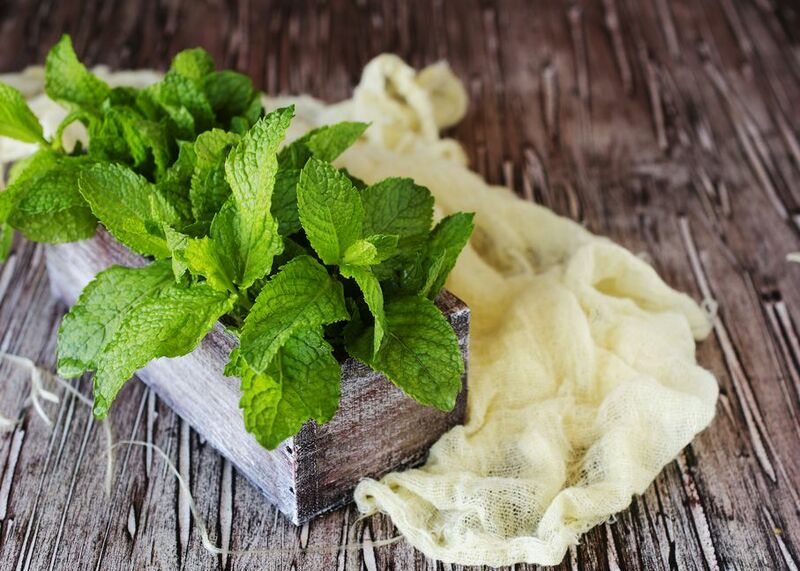 Fresh herbs enhance any home-cooked meal. However, growing herbs indoors can prove to be challenging, and a large, outdoor herb garden demands a large space in the lawn and can be high-maintenance both to start and to upkeep. 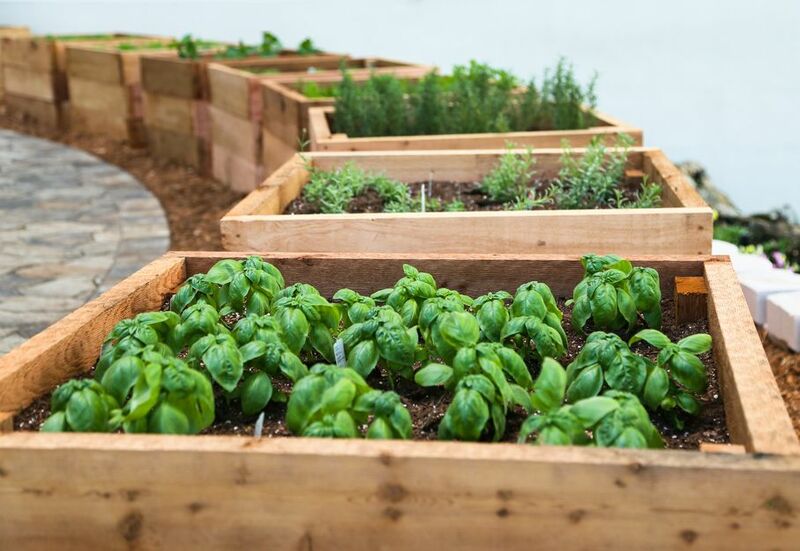 A raised box herb garden is the perfect solution for growing your own savory cooking spices outdoors, without taking up a large footprint in your yard or requiring daunting daily labor in order to maintain it. Why Choose a Raised Box Garden? A boxed herb garden can take up less than six square feet total and let you enjoy all of your favorite fresh herbs in an easy-to-reach, easy to grow and easy to take care of enclosed box. According to Plant Natural, “raised bed gardening improves drainage, uses space more efficiently, increases yield and simplifies the control of weeds and pests.” You can put a planter box on your patio or porch in a sunny location, close to your kitchen to make it easy to harvest herbs as you need them and bring them indoors to wash and add to your favorite dishes. Boxed herb gardens can even be placed on second story decks. You can plant summer vegetables in the boxed garden or flowers that you can cut and bring indoors to place in vases around your home. Ornamental plants or grasses can also be added to add additional visual appeal to the look of the boxed garden. A properly built herb garden will have a design that allows for the right amount of drainage, so your plants won’t get overwatered, and these gardens require very minimal weeding to maintain them. One design construction for a boxed herb garden is to create four-foot boxes made out of four foot by six-foot pieces of the wood of your choosing, then capped off with 2’ x 6’ pieces of wood. Using wood choices that are resistant to mildew and rotting will prolong the life of your garden so it will last through several seasons. The ideal height range for boxed gardens is approximately 18 to 20 feet tall, so you can easily reach inside to garden without straining your back or needing to bend or squat while you work. You will create a tiered box that is held together by screws, and landscape fabric should be used to cover the bottom of the box to catch any drainage. For herb enthusiasts looking for more creative design options, you can build a self-watering boxed table design out of a wooden frame that incorporates plastic bins into the table design. You can use as many bins as you like and choose any sized bins as long as your table frame is built around them. Place PVC pipes upside-down in the bins to assist with drainage, and then place smaller, plastic bins or containers inside of the bins to hold the plants. This type of DIY planter table eliminates bug problems and makes it easy to access and care for your herbs. For a truly funky and eclectic design, you can even construct an herb garden out of an old refurbished dresser by outfitting the drawers with landscape cloth and building them up so they are suitable to plant your herbs in. To add extra personality to any of the raised box designs, install hooks on the outside of the planter box where you can hang gardening tools, so you can get to them easily, and it also adds a charming look to the exterior design. A boxed garden can actually be built directly on the ground as well, like an actual garden in your yard, except that it is within a defined space you can control and maintain easily. These type of boxed gardens are usually closer to the ground and will require you to squat or bend to access the plants, but for people who want a controlled garden space on the ground, this is an ideal option. You can even build these within a larger vegetable or flower garden for a garden within a garden. These can be any size you’d like, but one suggestion is to create a box that is approximately eight feet long by four feet wide, so you can reach into the center of the garden from all sides without falling in. No matter which boxed design you choose, once the box is complete, you simply line with landscaping cloth, add a rich soil mixture, and fill the box with your favorite herbs. You’ll want to leave a little space between each plant to avoid overcrowding, but you can position the herbs relatively close together. You can grow your own savory spices in even the smallest of spaces with a DIY raised box herb garden and enjoy fresh, organic herbs anytime just by stepping outside with a pair of scissors or clippers. Whether you choose to make a table design, a ground box style, a capped raised box or decide to imagine your own original and funky design, this is a great way to get in touch with nature, grow your own flavorful spices and add culinary excitement to your cooking without labor-intensive chores or taking up a large footprint in your yard.